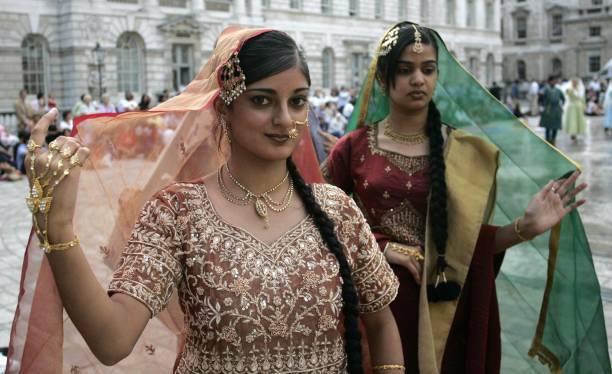 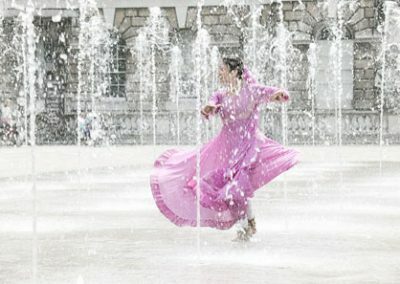 A whirling, colourful, dance extravaganza as Akademi’s Kathak dancers give an open-air performance in the beautiful surroundings of Somerset House. 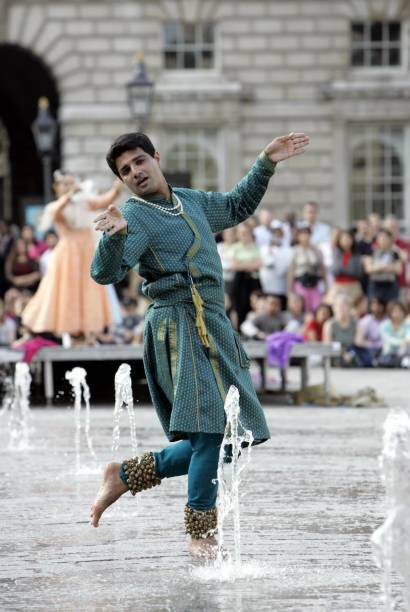 Waterscapes was a captivating display of Kathak dancing from the Royal court of the Moghul Kings. 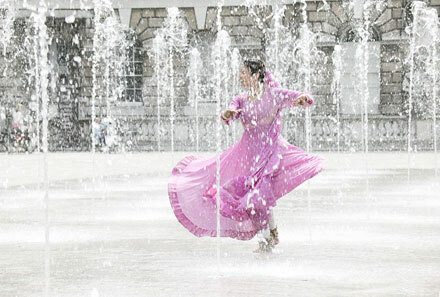 It was performed in the magnificent Edmond J. Safra Fountain Court at Somerset House in August 2004 and was inspired by the Heaven of Earth: Art from Islamic Lands exhibition that was on display in the Hermitage Rooms at that time. 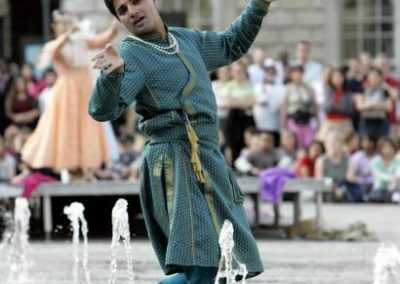 The courtyard exploded with colour, energy and vibrancy as the artists dance in and around the fountains, accompanied by live percussion. 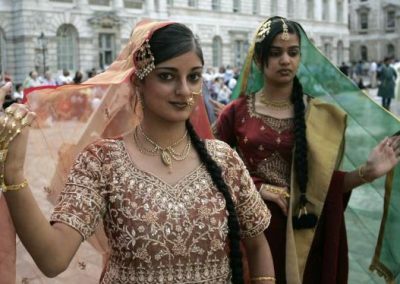 Alpna Vaghela, Amina Khayyam, Archita Kumar, Hanna Mannilla, Indrani Dotta, Manisha Sevani, Nikki Granger, Payal Patel, Quincy Kendall Charles, Riaz Rhemtulla, Seema Patel, Urja Desai Thakore, Youko Inoue.